Actuarial science is ranked in the top five best jobs (2013-14, CareerCast). Preparing for the future and counting the cost are both wise applications of biblical principles, and they describe what actuaries do on a regular basis. Through BJU’s actuarial science program, you’ll develop the critical mathematical and analytical skills necessary for a successful career as an actuary. More importantly, you’ll learn how competence, integrity and humility are essential in an industry of managing risk and how you can use your career in actuarial science for the good of others and the glory of God. Mitigating and managing risk are both essential parts of successful business, especially in the insurance industry, multinational corporations and financial planning. As a result, people with an actuarial science education are in very high demand. BJU’s challenging actuarial science program equips you for the rigors of this field and develops the essential skills you’ll need to become an effective actuary. Throughout your program, you’ll learn about the risks encountered in business and how to apply mathematics to understand and begin to mitigate those risks. Key to your success will be our emphasis on mathematical theory. 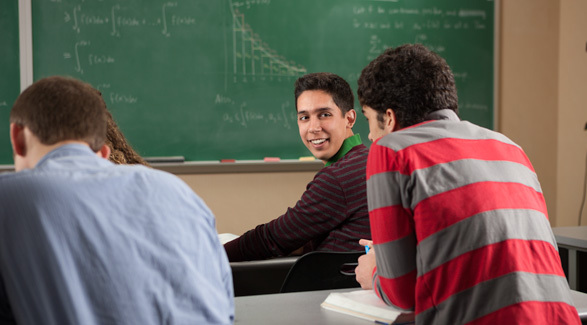 At BJU, you will go beyond the basics and learn why math works—not simply how it works. This emphasis will give you an edge in the field and prepare you to understand complex relationships, balance interrelated data and take into account complicated risk factors. You’ll learn a wide variety of mathematical and analytical topics, such as the theory and application of probability and the development of mathematical models. You’ll also explore how to make accurate use of statistical information and draw well-informed, verifiable conclusions, and you will develop the skills necessary to communicate your mathematical work to decision makers. In addition, you’ll take several courses that prepare you to pass the first two of the standard actuarial exams (the Actuarial Exam FM and Actuarial Exam P) and that introduce content covered in later exams. The Bible and liberal arts courses in the BJU Core perfectly complement your studies in actuarial science. You’ll learn how to communicate effectively with others and share your ideas, both orally and in writing. You’ll also learn biblical principles of stewardship and integrity that apply to all of life, but especially to Christian actuaries. It’s easy to lie with data or be careless—and your BJU Core courses will help you connect what you believe about God to your work and your ethics. You’ll learn how to make decisions based on the Word of God and how to serve others and worship God wherever He leads you. Actuarial science is becoming more common in fields outside of insurance and financial advising, and your electives can help you prepare for this wider range of jobs. Some of the most common electives are courses in finance, computer science and other branches of math. But you might want to consider taking courses that give you a broader range of skills, such as corporate communication or management courses. Courses in general business, communication, technical writing and marketing can help you be more flexible in the job market, and will equip you with skills you can use practically anywhere. Bob Jones University was the answer to the question, “Where can I find a Christian university with a rigorous math department?” I became interested in the actuarial science program at BJU because of the academic challenges that the institution provides. The preparation, disposition and Christlike character of the faculty have made my experience as an actuarial science student a rigorous but profitable one. Even though I have only been enrolled at BJU for two years, the actuarial science program at BJU has already provided me with the necessary skill sets that I will need in the professional world. Financial advisor at Wells Fargo Advisors, LLC, Middletown, Penn. The University Business Association (UBA) is designed to connect successful Christian business professionals with our students. Using a forum setting, these professionals discuss how they have served Jesus Christ in their professions and, in turn, how they have used their profession as a platform for ministry. One of the best ways you can prepare in your field is to become familiar with the Society of Actuaries (SOA). On their website, you can explore educational resources, news articles, requirement information and so much more that will help you understand your field and thrive in it. Involvement in the community is an important part of the BJU experience. Many of our actuarial science students take part in a variety of outreach opportunities, including the Community Service Council (CSC). The CSC is a student-led, student-driven organization that connects students with local businesses and communities. The CSC oversees events such as cleaning up the Greenville Zoo and local parks, sponsoring an on-campus blood drive, and collecting funds for the Heart Fund or other charitable organizations. BJU has an accomplished mathematics faculty—all who teach 200-level courses and above have completed their doctoral work. Some have substantial experience in implementing solutions to problems using technological resources. They’ll work closely with you throughout the program to equip you to excel in your field, and more importantly, they’ll inspire you to follow Christ in everything you do. Progress logically from premises to valid conclusions in a variety of mathematical and applied contexts including analysis, statistics (both theoretical and applied), probability and finance. Apply mathematics to actuarial problems (such as financial math and probability modeling) in exercising the biblical mandate to have dominion over the earth. Use technology as a tool for understanding as well as a labor-saving or problem-solving tool. Build the communication skills necessary to effective communicate technical information to a quasi-technical audience and provide the information necessary for data-based decisions. Construct a biblically consistent philosophy of topics encountered in actuarial science.